On October 3, Leon Lederman passed away at the age of 96 after suffering from several years of dementia, which includes memory loss. He had won the physics Nobel Prize back in 1988 for the discovery of a sub-atomic particle called muon neutrino. What makes the passing away of one of the giants of particle physics so poignant is that, in 2015, he had to auction his coveted Nobel medal because he couldn’t afford medical bills and care. He and his wife got $765,000 in the auction–and that’s how Lederman survived for a few years more. “What he really loved was people, trying to educate them and help them understand what they were doing in science,” said Ellen Carr Lederman, his wife of 37 years, AP reported. Born in 1922 to Ukranian immigrant parents, Lederman fought in World War II and then finished his PhD from Columbia University. He went on to become one of the giants in the newly developing field of sub-atomic particles. He was director of Fermi National Accelerator Laboratory, popularly known as Fermi Lab, managed by the University of Chicago. “He made extraordinary contributions to our understanding of the basic forces and particles of nature,” Michael Turner, a professor at the University of Chicago, said in a statement. But he was also a leader far ahead of his time in science education, in serving as an ambassador for science around the world, and transferring benefits of basic research to the national good. Lederman’s 1993 book, The God Particle: If the Universe Is the Answer, What Is the Question?, made him famous and also gave the popular, though misconceived, moniker to the Higgs boson which was ultimately discovered in 2012. The Stark Reality of Healthcare in U.S. But why did such an eminent person have to sell off his priceless Nobel medal? 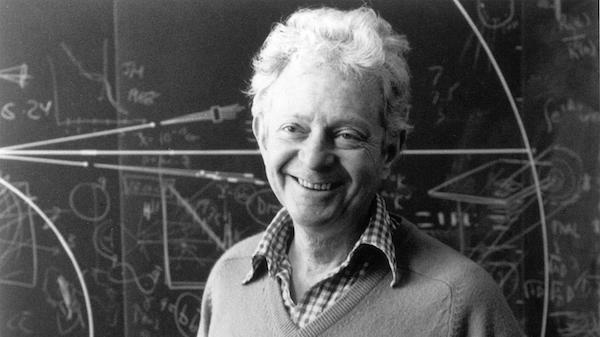 After getting the Nobel along with Melvin Schwartz and Jack Steinberger in 1988, Lederman bought a log cabin near the tiny town of Driggs in eastern Idaho with the prize money. He and his wife used to go skiing and horse riding while camping there. They moved in permanently in 2011 after he started having memory problems, a sign of dementia. But the U.S. system of healthcare, based largely on the insurance model that is now being pushed in India, couldn’t provide for his needs. Care for patients like Lederman and treatment in nursing homes is barely covered by private insurance–and Lederman couldn’t do without it. So, he and his wife publicly auctioned off the Nobel medal. This helped them meet the mounting costs for specialised care that Lederman needed.